You can rely on us for all your digital printing and copying. We provide a fast, economical A4 and A3 print and copy service, in colour or black and white, for most file formats. However, Adobe Acrobat is the preferred format. We can print onto a wide range of paper stock and provide special services such as full bleed and tab printing. 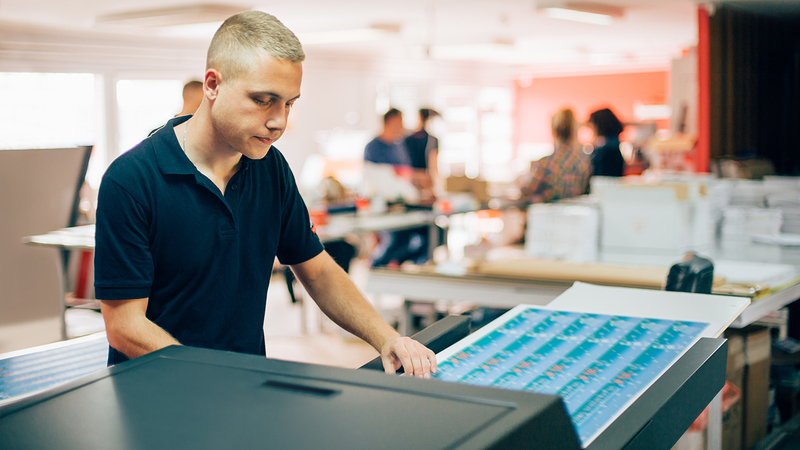 We can archive your print files as PDFs for reprinting in the future and can help with tasks like combining multiple files, replacing logos and so on. Guild discounts apply to serviced Printing / Photocopying only. To obtain the Guild discount, current Guild Membership sticker must be shown BEFORE the sale is entered on the cash register. Volume discounts may apply. Map of UniPrint (campus map location 2220) at latitude -31.98074 and longitude 115.819011. Substantial discounts are available for bulk copying and printing. For pricing and turn-around times, please enquire at the UniPrint Campus Shop, UniPrint Online Ordering, or contact UniPrint by email for a quote.